Come on in and discover the innovative design concepts and quality workmanship that go into every one of our panniers. 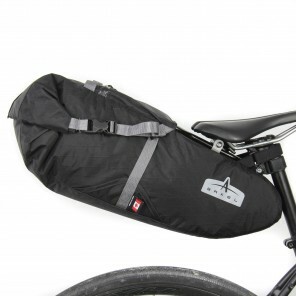 We have a full range of conventional and Waterproof Panniers, Handlebar Bags, and Panniers Racks. We’ve come a long way from our humble beginnings when, in 1988, Serge Vigeant set out to design the best bicycle pannier bag available to cyclists period! From the very first pair of touring panniers he made for himself to any touring, off road, randonneur series or commuter pannier you'll find with the Arkel label today, one thing remains true, we care about your experience on the bike. 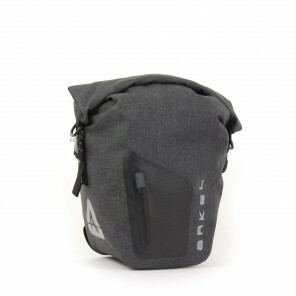 We’ve always made and will continue to make panniers for cyclists like you; with the finest fabric (Cordura), the best zippers (YKK), the ultimate hook system (all aluminum Cam-Lock® system with no plastic parts to break) and flawless, practical designs that make your tour, commute or bike ride down to the corner store more satisfying. We’re engaged in making the planet a better place to live by promoting cycling through advocacy with our partners from Vélo Quebec, The Bicycle Trade Association of Canada (BTAC), Adventure Cycling and The League of American Bicyclists. Finally, bike panniers and rack made by people who really love to ride! Our designs integrate countless hours of experience on the road and in the saddle and tons of customer feedback. There’s no better way to gather information than from the road. And yes we listen to our customers and continually improve our bags based on real world experiences. For example, our Randonneur Rack® and specially designed series of companion bags. We created an entirely new category focused on racers, commuters, mountain bikers who don't want or have a rack on their bike. It's the only one of its kind on the market. Strong, light, stable, it goes on and off almost any bike in seconds and adjusts to fit any seat post and bicycle saddle bags. 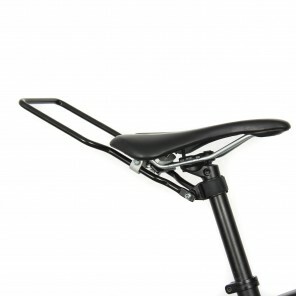 A sleek quick release bracket attaches to both sides of the seat rails, forming rock-solid attachment points. The three point attachment system of the Randonneur Seat Post Rack® brings unequalled stability - it feels like it's bolted on to the frame! Move it from race to road to mountain bike in a flash. 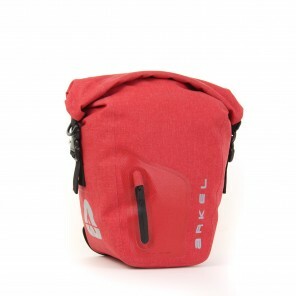 Pair it with our Tailrider trunk bag or two different pannier/backpack combos. Arkel is also dedicated to community empowerment evidenced by the lively crew from CRDITED Estrie - a social service program for folks with Intellectual Disabilities and Pervasive Development Disorders. They've worked at Arkel's Quebec headquarters for more than 8 years. We think of them as family around here. Once the designers have finished creating our bags and the seamstresses have stitched them tight, the gang from CRDITED Estrie goes to work assembling and putting the finishing touches on each T-42, Signature V, GT-54 and commuter pannier. We back our products with a no hassle, lifetime warranty so you get peace of mind with every Arkel purchase. We also provide the best possible customer service, not just among pannier companies, but any company. We are dedicated to the complete riding experience from beginning to end as we know bikes and will assist you with whatever question you may have, from outfitting your bike for the next ride, urban commuting, touring or bikepacking adventures. If you have any questions about getting outfitted safe and proper, chances are we’ve answered it before and will have you covered when you call or write. If we don’t, you can be sure we’ll find the answer. Our website is filled with information on how to choose the right bicycle pannier equipment, tips and instructions, even videos to help you get what you need and see how it works before you order it. We wish you a most pleasurable experience with us and our gear and look forward to working with you soon!